Nintendo has given the sequel its own subtitle along with new screenshots and a fresh trailer. Back in April Nintendo announced that the classic SNES game The Legend of Zelda: A Link to the Past would be getting a direct sequel. 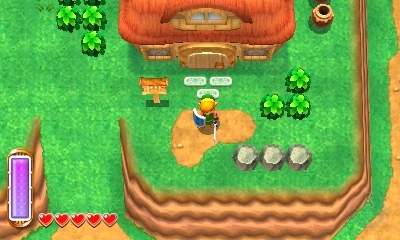 In the months since Nintendo has been fairly mum on the title, revealing only a few details such as the game's in-3D frame rate and that the game would feature a Light and Dark world akin to its predecessor. With E3 2013 in full swing however, Nintendo has unveiled a new trailer, screenshots and a branded the game with its own unique subtitle. 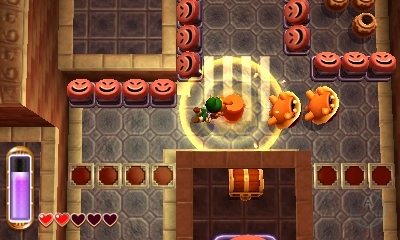 The Legend of Zelda: A Link Between Worlds will be coming to the 3DS in November 2013. 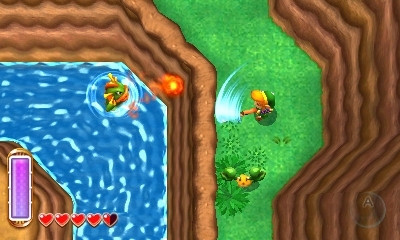 The trailer and screenshots both showcased visuals that, while definitely taking advantage of the 3DS's visual power, are nonetheless familiar and do a good job of emulating the look and feel of A Link to the Past. Likewise the audio in the trailer in places felt as though it were ripped straight from the original game. 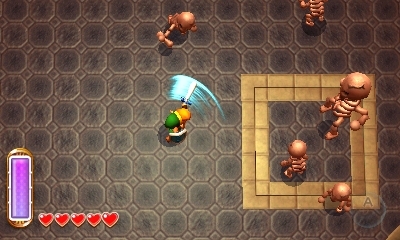 I'll personally confess to the sound of the Master Sword firing its projectile attack inspiring a few nostalgic spine tingles. 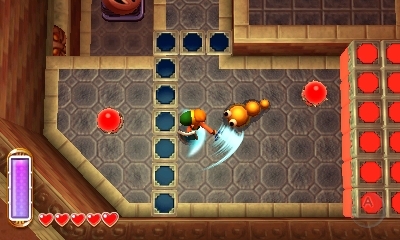 We also saw a bit more of the much vaunted "drawing" mechanic in which Link can press himself against flat surfaces and transform into a drawing. 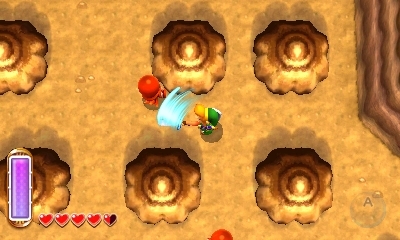 In the trailer it demonstrated Link using this to access an otherwise unreachable cliff and avoiding a death drop. Some might have chuckled at the "drawing" mechanic when it was first introduced. That said, where it might have initially looked a bit a gimmicky, the trailer does show it being put to some interesting uses that might put an end to the eye-rolling of skeptics. 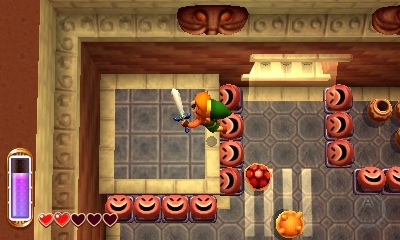 All in all, A Link Between Worlds looks to be shaping up nicely and will likely be on the top of many a Zelda fan's Christmas list this holiday season. Curious to see what's up with that shadow Triforce and how they'll explore new areas. Maybe they'll have a wildlife preserve: it'll be a Link'd Park. That looks amazing, can't wait to play it. Yet another reason to get a 3DS! This looks like it'll be pretty damn good. Any word on how it's controlled? The stylus only games were kinda tedious. Not as much as Skyward Sword, but still. It looks really fun, but I haven't played the first one so I don't know if it's for me. This is a sequel to my favorite Zelda game (yes this, not Ocarina). I pretty much need a 3DS at this point. There is way too much good content just spewing onto that machine for me to not have it. And all I have is my Vita, gracing me with Disgaea and Blazblue for free, but leaving me wanting. At least I'll get to play those PS4 games I don't have yet on the go. Why are all the recent Zelda games on a handheld console when I clearly DNGAF about mobile gaming? ._. Because you're not the only person whose opinions matter. Some of us enjoy handheld gaming. I'm pretty excited about this. I missed the original when it first came out, but I'm playing it on the Virtual Console right now and so far I'm really enjoying it. 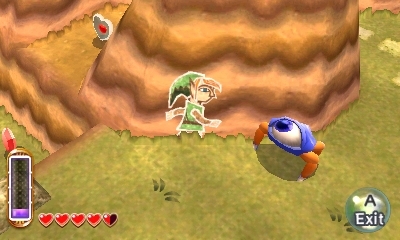 I'd love to give this game a try once I finish A Link to The Past. 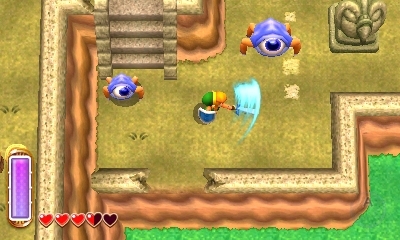 and wasn't the last Zelda game before this one Skyward Sword? Apparently the Wii is mobile gaming, now. My 3DS is getting a huge workout this fall with this game and Pokemon coming out in the span of a month, Zelda still has never let me down, so excited for this. Ok, looks interesting. 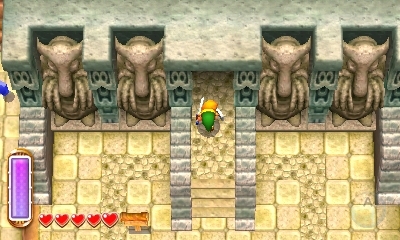 However I'm still dubious about them contriving a direct sequel to A Link to the Past.